Aircon service is not typically performed by a handyman in Singapore. 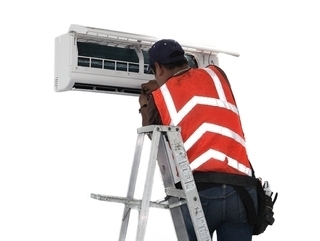 We normally call the aircon technician specializing in aircon servicing to service our aircon. However, we reckon that some homeowners may wish to have one point of contact for all their household repair and maintenance needs including aircon maintenance. As such, we provide this additional service to satisfy this group of homeowners. Aircon service and maintenance can be classified into simple aircon cleaning, aircon steam cleaning, aircon chemical wash or aircon overhaul. For simple aircon cleaning, you can easily perform by cleaning the filter and other easily reachable areas. However, aircon steam cleaning, aircon chemical wash, and aircon overhaul are necessary to reach the difficult areas where dirt accumulated and is difficult to remove. 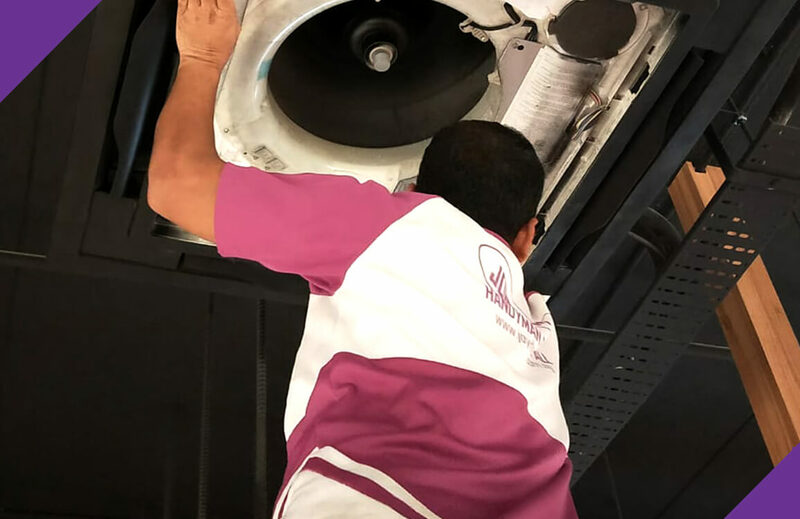 It is advisable to hire an aircon technician to perform aircon steam cleaning, aircon chemical wash, and aircon overhaul because you need the right tools and it is not easy to perform. we provide aircon repair works for each residential and business premises. Our technicians area unit qualified, consummate and practiced in repair and maintenance of all air conditioners. Aircon Servicing is important because it cleans the aircon components which remove heat from the room during the cooling process. When the components are able to remove heat effectively, the room can be cooled quickly. Your maintenance is not complete if you only clean the filter of the aircon. Dirt will accumulate in other aircon components and some parts of the aircon will have stubborn stains. The dirt and stain insulate the transfer of heat and lead to poor performance of the aircon. Sometimes, your aircon may give you some problem like “leaking aircon” or “aircon is not cold”. Under such circumstances, you should stop using the aircon and quickly inform us to look at it before more damage is done to the aircon. All you have to do is to call us at (+65) 81632621 or email us at enquiry@joydom.com.sg to have all repair and maintenance services taken care of by us. 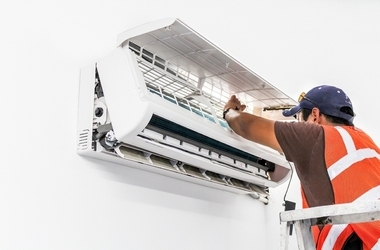 We assure you that our pricing for aircon service is comparable to the pricing you received directly from firms specializing in aircon servicing. You may also call us for aircon installation or other household repairs and maintenance, electrical service, painting service, plumbing service, door repair service and carpentry service.